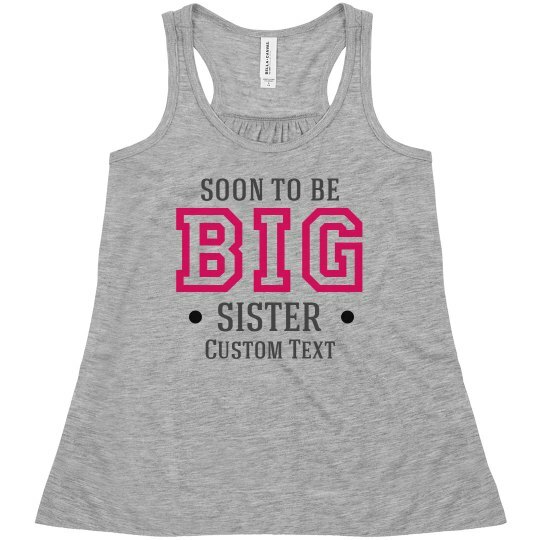 Customize your own Big Sister tee for your sis to be! Add a name, date, or fun quote at the bottom to personalize it for her. This design is great for family announcements and photoshoots, plus there is a Big Brother version to check out too!